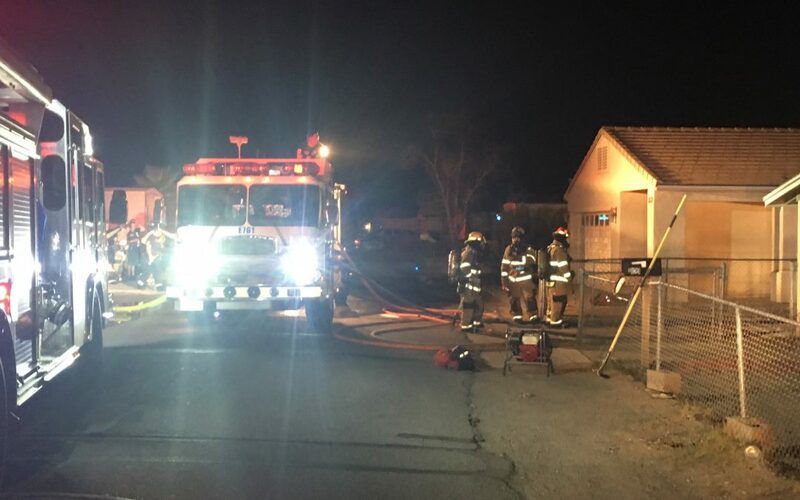 BULLHEAD CITY–A home on Monterey Drive was damaged Wednesday night after a fire reportedly started in the rear of the structure. Fire crews from Bullhead City Fire Department were toned out around 9 p.m. to a reported residential structure fire in the 1800 block of Monterey Drive, said fire spokeswoman Lori Viles. There were initial reports of someone inside the home towards the front of the home. However, after firefighters deployed a hose line directly into the front of the residence and conducted a search and rescue, the home was cleared of all its occupants, said Viles. Mohave Electric was dispatched to the scene for a burned power line that had dropped on the rear fence, causing a fire hazard. Fire crews were able to get the fire under control and shortly extinguished. The cause remains under investigation with the fire department.